This post was co-authored by Jeff Shepherd, Deepak Mukunthu, and Vijay Aski. Recently, we blogged about performing automated machine learning on SQL Server 2019 big data clusters. In todays post, we will present a complementary automated machine learning approach leveraging Azure Machine Learning service (Azure ML) invoked from SQL Server. 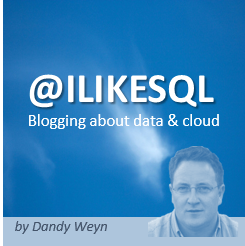 While the previous post dealt with a Spark-based implementation tuned for big data, this post presents an approach that runs directly in SQL Server running on a single server. This is well suited for use with data residing in SQL Server tables and provides an ideal solution for any version of SQL Server that supports SQL Server Machine Learning Services. Azure Machine Learning service is a cloud service. We call the service from SQL Server to manage and direct the automated training of machine learning models in SQL Server. Automated machine learning tries a variety of machine learning pipelines. It chooses the pipelines using its own machine learning model based on the scores from previous pipelines. Automated machine learning can be used from SQL Server Machine Learning Services, python environments such as Jupyter notebooks and Azure notebooks, Azure Databricks, and Power BI. Starting in SQL Server 2017, SQL Server includes the ability to run Python code using the sp_execute_external_script stored procedure. This allows SQL Server to call Azure ML automated machine learning. Instructions and code for running the following example are available on GitHub. Automated machine learning can be used for regression (the prediction of continuous values), classification, or forecasting. This example focuses on energy demand forecasting, where the goal of a power grid operator is to predict future energy demand given forecasted weather data. Although the context of our example is energy demand forecasting, the methods used can be applied to many other contexts and use cases. Nine iterations of an automated machine learning run. The orange line shows the best metric seen so far. Optional parameters on the AutoMLTrain allow for explicit train/validate split, cross validation, sample weights, number of iterations, exit score, blacklist and whitelist models, forecasting, and time limits. The AutoMLGetMetrics stored procedure returns several metrics for each pipeline. These can be stored and queried in SQL Server. In this blog post, we have seen how Azure ML automated machine learning can be used from within SQL Server to train models and then predict new values. SQL Server developers can now train and use machine learning models without needing to learn Python and without needing detailed knowledge of machine learning. You can set up the configuration described in this blog post using the instructions on GitHub. Learn more about SQL Server Machine Learning Services. Learn more about Azure ML automated machine learning. The post Automated machine learning from SQL Server with Azure Machine Learning appeared first on SQL Server Blog.